Available in me’s sizes only. £48 with 20% off when you buy 5 or more. The most Formal of all the dress shirts. 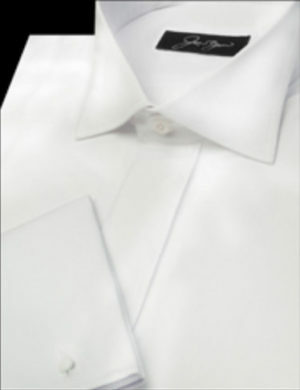 Traditionally worn with white Tie, dinner suit or white tuxedo outfits. 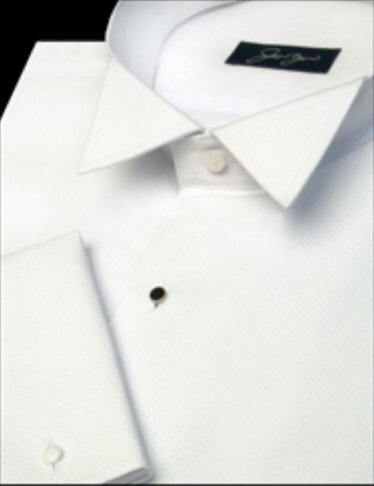 100% cotton with 5 Black Front Studs & Double cuff, also available in a plain collar style.